This apartment is on the first floor of the chalet and provides a very spacious 65m2 of living accommodation, with absolutely stunning views from the lounge and French doors opening onto a balcony looking up to Mont Blanc and the Aiguille du Midi. 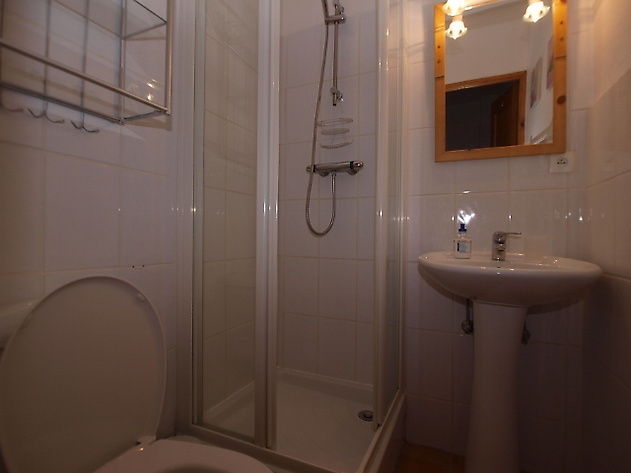 The living/dining/kitchen area is spacious and open planned, equipment includes a fully fitted Italian kitchen with all the modern appliances you wouldd want including washing machine, dishwasher and microwave, toaster, kettle and coffee machine. 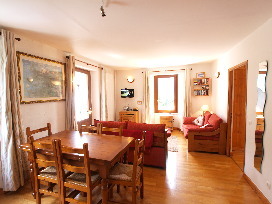 The dining area is for eight people and the lounge area comprises two stylish comfortable sofas and coffee table. 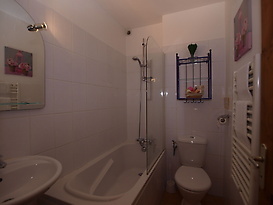 Additional equipment has also been provided for your convenience, FREE WIFI, TV, DVD, CD. 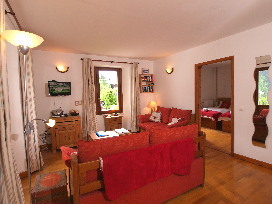 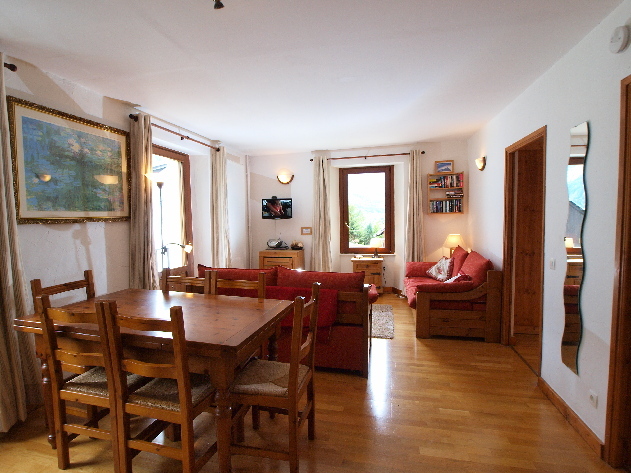 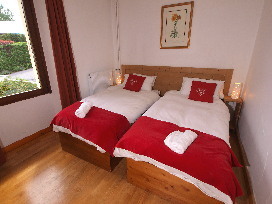 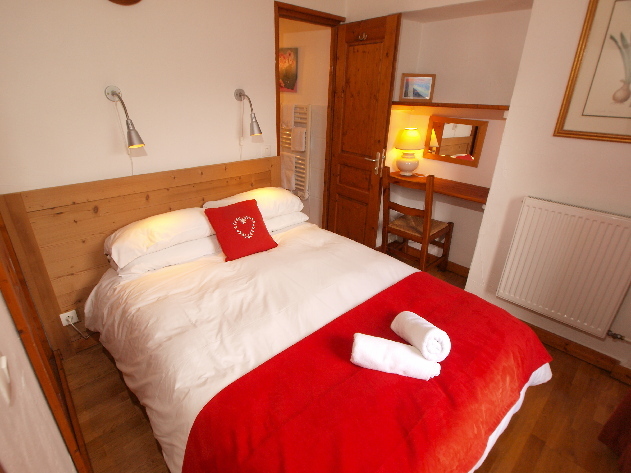 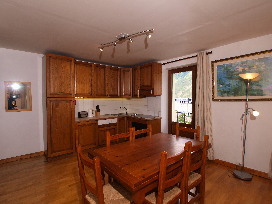 Luxury 2 bedroom, 2 bathroom Chamonix apartment, located close to the bubble at Les Brevents.